Leticia Alcántar has over 25 years of experience in the philanthropic and nonprofit sectors with expertise in the areas of social and racial justice, youth development and organizing, economic and environmental justice. She has worked as a program officer, director of programs, and as an executive director at various institutional and family foundations including the Akonadi, Tides and Hill-Snowdon foundations. Throughout her career, Leticia has served as a consultant to foundations and nonprofit organizations where she provided personalized and impactful advice to an array of clients. Leticia started her career as a social justice attorney where she focused on defending the environmental and economic rights of community groups and individuals throughout California. Leticia serves on the boards of People Organizing to Demand Environmental Rights and Grassroots International, Inc. In 2010, she received a Women Making History award from the San Francisco Board of Supervisors. 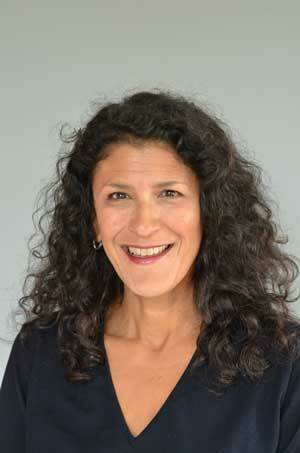 Leticia has a B.A in Political Science and La Raza Studies from San Francisco State and a J.D. from the University of San Francisco. A native San Franciscan, Leticia and her husband live in San Francisco and are the proud parents of two remarkable sons. Pat Krackov has more than 30 years of experience in the philanthropic, nonprofit, and public sectors focusing on economic security and community development finance, nonprofit strengthening, human services, women’s issues, and the arts. She has particular expertise in grantmaking strategy design, implementation and evaluation, management of peer learning circles, training, and nonprofit capacity building. Prior to joining Lighthouse, Pat served as a program officer with Silicon Valley Community Foundation, where she led its Economic Security and Safety Net grantmaking. Her other funding experiences have been with Ford Foundation in Mexico City, where she made grants for micro-finance and women’s projects, and with Inter-American Foundation in the Washington, DC area, where she supported grassroots social change projects in South America. Pat also made grants to community development financial institutions around the country while serving at the Department of the Treasury. Pat currently sits on the board of Community Financial Resources, a nonprofit corporation that partners with socially responsible financial institutions to create a fairer marketplace through offering consumer-centric financial products combined with financial education. Pat holds an M.A. in International Relations from the Paul H. Nitze School of Advanced International Studies of The Johns Hopkins University, and a B.A. in Development Studies from the University of California, Berkeley. She speaks and writes fluently in Spanish. Pat lives in San Jose and has one grown son.